Finally, we got off on our Galapagos trip. Traveling from Europe to Ecuador is quite a long trip and only few direct flights. You must take an international flight to Ecuador, to arrive either at the city of Quito or at the city of Guayaquil. There are non-stop flights from several US cities, like Houston (United), Atlanta (Delta) and Miami (American Airlines), as well as from European cities like Amsterdam (KLM) and Madrid (Iberia). From other cities in US or Europe 1 stop flights are available either via US cities above or via Bogota and Panama City. It is recommend to arrive into Quito or Guayaquil at least two days before the scheduled Galapagos travel dates (especially for cruises) in case there are flight delays or cancellations. Being a loyal SAS and Star Alliance customer out option was to fly via Newark and Panama City, with overnight stop in Panama. At noon we flew from Copenhagen with SAS SK909 (picture) to Newark, NJ. A trip of 8 hours with arrival late in the afternoon local time. We came quite quickly through immigration in Newark, and took our suitcases as we had to bring them through customs in the U.S. They were then checked in for the United flight to Panama. We had 1½ hours to change - we took the train to another terminal and through security check - as usual organized chaos. Then we went straight to our United Airlines flight that would take us to Panama City. After 5 hours we landed in Panama. 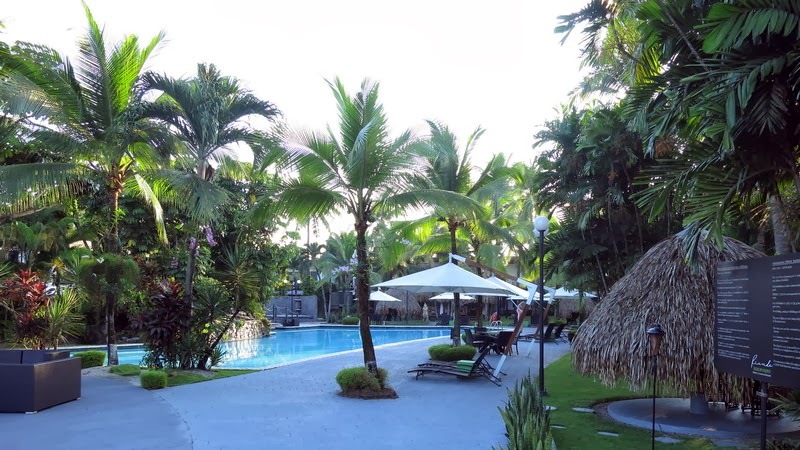 We arrived to the tropical heat of Panama at 10PM - we had booked an airport hotel, Riande Aeropuerto Hotel & Resort, where there was a shuttle bus service from the airport. It took some time to get through immigration, by then the suitcases already were on the belt - so it was just to get out of the terminal, find the bus and then a 5 minute drive to the Riande Aeropuerto Hotel. A really nice hotel with good service (picture). Before bedtime, there was just time for a glass of wine at the pool bar. Copyright by traveltogalapagos. Simple theme. Powered by Blogger.